While it was initially thought that This Is Us star Ron Cephas Jones was the frontrunner to join Warner Bros.’ upcoming Shazam! as a key DC Comics character who plays a pivotal role in Billy Batson’s journey to becoming a hero, it turns out that that probably isn't the case. According to Entertainment Weekly, Guardians of the Galaxy’s Djimon Hounsou is apparently the top pick for the rather unimaginatively-named Wizard, whose magic is what imbues Billy with the ability to transform into a superhero. EW says Hounsou’s casting came as the result of a scheduling conflict on Jones’ end — meaning that now, Hounsou will be one of a few actors in Hollywood who’ve made the jump from one of the biggest cinematic comic book universes to the other. The actor isn’t new to the larger DC universe, either, since he played Papa Midnight in WB’s Constantine film way back in 2005. 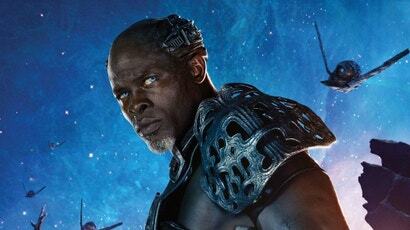 Given Hounsou’s previous roles in other big budget action movies, it isn't all that hard to imagine him as a 3000-year-old Egyptian wizard who’s spent his life holding the forces of evil at bay. It’s a solid, interesting casting choice. But still, between the late-stage shakeup (filming has wrapped, though EW says this casting “remained under the radar until now”) and the fact that we still haven’t really seen all that much from the film (release the tapes, Warner Bros., you cowards), it’s still up for debate whether this whole Shazam! endeavour will actually end up coming together and being any good.